The CW is proving itself to be quite the powerhouse when it comes to superhero properties. I mean, who doesn’t love ‘Arrow‘ or ‘The Flash‘? 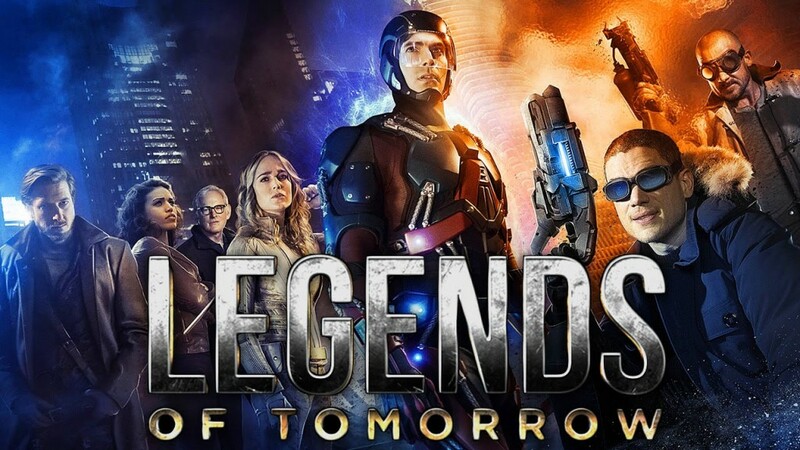 Seriously point them out because they won’t get the excellence that is ‘Legends of Tomorrow‘. January 21, 2016 is convert a non-believer day. No, I’m not getting religious on y’all, I am speaking of the DC gospel, chapters ‘Arrow‘ up to and including ‘Legends of Tomorrow‘. Break-neck action, speed, story-telling and thrills await even the most ardent of fans. When heroes alone are not enough… the world needs legends. Having seen the future, one he will desperately try to prevent from happening, time-traveling rogue Rip Hunter is tasked with assembling a disparate group of both heroes and villains to confront an unstoppable threat – one in which not only is the planet at stake, but all of time itself. Can this ragtag team defeat an immortal threat unlike anything they have ever known? The star-powered super drama debuts in the new year. ‘Arrow’ and ‘The Flash’ On Blu-rays Announced and Detailed!!! This entry was posted on Tuesday, November 24th, 2015 at 1:13 pm	and is filed under Comics, News, Television. You can follow any responses to this entry through the RSS 2.0 feed. You can skip to the end and leave a response. Pinging is currently not allowed. « Get Excited for ‘Grease: Live’ With A Peek At Characters!! !